From his early hockey days in Saskatchewan as a Melfort Mustang to his nearly 600-game NHL career, Willie Mitchell has never been the type to take a shift off. The Los Angeles Kings know what they are getting in Mitchell, the rugged, stay-at-home defenceman who signed with them as unrestricted free agent in late August. Not one to cut corners or to make excuses, the pride of Port McNeil, British Columbia never needs much motivation when it comes to his game. But after missing a large chunk of the 2009-10 campaign, including the playoffs, the strapping blueliner is indeed a motivated man, a player eager to contribute to a Western Conference club who last year showed they aren't to be taken lightly in 2010-11. Mitchell, who only missed a total of 10 regular season games due to injury in the previous two seasons (2008-09 and 2007-08), was sidelined for 34 regular season games this past season after suffering a concussion versus Pittsburgh in mid-January. And though he's often referred to as a defensive defenceman, Mitchell isn't exactly a liability when it comes to the offensive side of the game, something he hopes to build on with his new club. Regardless of how Mitchell's game is interpreted, there's no denying the 33-year-old is a force in any circumstance. 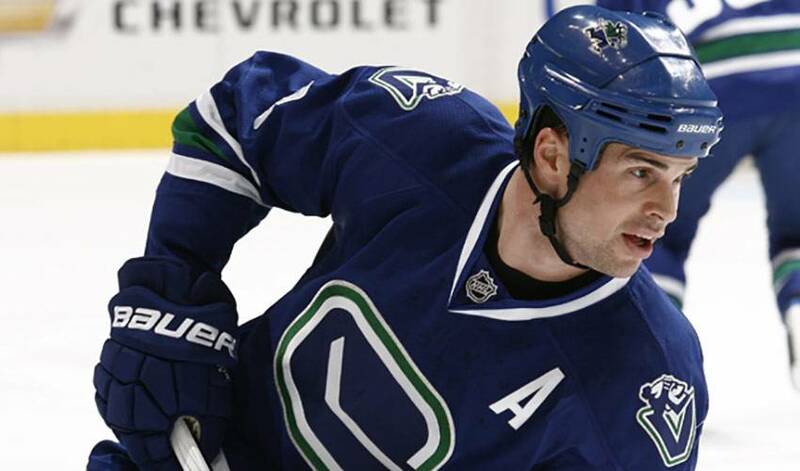 Mitchell, who signed with Vancouver as a free agent in July of 2006, logged an on-ice average of 22:36 per game which ranked third on the Canucks, and his short-handed time-on-ice average of 4:04 per game led the team the past campaign. Including 2009-10, he's played 22-plus minutes per game over the last four seasons. He's also recorded 20-plus minutes of ice time in each of his last eight campaigns. Named one of Vancouver's alternate captains prior to the start of the 2008-09 season, Mitchell set career-highs for games played (82), assists (20), points (23) and plus/minus rating (plus-29) while also collecting 59 penalty minutes for Vancouver in the 2008-09 campaign, and his plus-29 rating and short-handed time-on-ice average of 4:15 per game led the team. He also appeared in 10 postseason games in the 2009 Stanley Cup playoffs while helping Vancouver advance to the Western Conference Semifinals. His average time-on-ice of 24:12 during the playoffs led the Canucks. Mitchell led the team with 109 blocked shots. After the NHL lockout in 2004-05, Mitchell returned to the Minnesota Wild for his fourth season with the club, where he continued to be a strong contributor on the team's blueline. When the club began to struggle, he was sent to the Dallas Stars at the trade deadline. Following a successful campaign in 2002-03, Minnesota faltered the following season, but it was hardly a forgetful year for Mitchell, who won a gold medal with Team Canada's World Championship team. Mitchell joined the AHL's Albany River Rats in 1998-99 and spent the better part of the next two seasons in the AHL while seeing limited action with the parent club in New Jersey, after a bWith the NCAA's Golden Knights, he received numerous honours, including ECAC Second All-Star Team (1998), Co-Winner ECAC Rookie of the Year (1998), ECAC First All-Star Team (1999) and NCAA East Second All-American Team (1999). After parts of three seasons with the Devils organization, Mitchell, selected in the eighth round, 199th overall by New Jersey, moved on to the Wild in the late part of 2000-01. And now, Mitchell is ready for the next chapter in his career, one he hopes will have a Hollywood-type ending to it.